Boldburg was founded a year ago by enthusiastic engineers to develop innovative solutions and products for professional high-end audio applications. Their initial focus was on developing a superior modular digital multicore with support for sample rates up to 384 kHz and dynamic range up to 135dB which will be debuted at the forthcoming ProLight & Sound 2016. 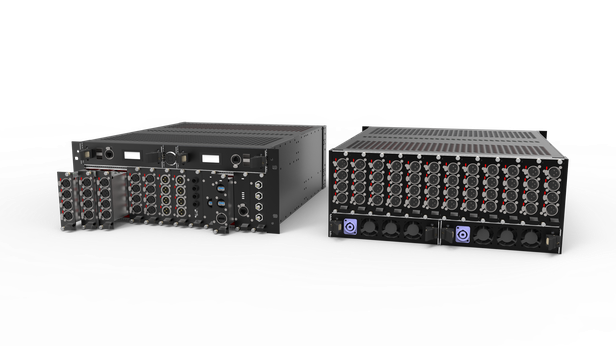 Boldburg’s Galileo product line is a modular multi-core/stage box, loaded with a wide range of features and functionalities. At the top of the features list are redundancy and high availability principles. Significantly, every element of the Galileo product range is hot-swappable. This means that, for the first time in the field of professional audio devices, it is possible to supplement or exchange modules in case of failure even when they are running, thus greatly improving the stability and availability of the device. Tomas Koctur, Boldburg COO: “Boldburg was founded to create a product which we felt was missing on the market but, more importantly, that would be genuinely appreciated by our customers. Our lead engineer, Marek Petrinec focused on no-compromise audio quality which was honed to perfection in order to satisfy the most demanding customers. We used only top quality components in order to deliver a product of the very highest specifications. Boldburg is an innovative professional audio company which aims to provide solutions where previously none existed. Founded by Marek Petrinec in 2015 after five years of research in high quality audio, our products are based on 5 pillars: Quality, Modularity, Functionality, High availability, and Efficiency. The result is a range of digital multicore systems designed to the most exacting standards for high-end audio applications.